Sport related foot and ankle injuries can become troublesome if left untreated, especially for athletes. If you have sustained an injured foot or ankle, consult with one of our podiatrists from Foot HealthCare Associates. Our doctors can properly provide you with the foot and ankle treatment you need. Sport related foot and ankle injuries are commonly treated using the RICE method. This includes rest, applying ice to the injured area, compression and elevating the ankle. More serious sprains and injuries may require surgery, which could include arthroscopic and reconstructive surgery. Rehabilitation and therapy may also be required in order to get any recovering athlete to become fully functional again. Any unusual aches and pains an athlete sustains must be evaluated by a licensed, reputable medical professional. 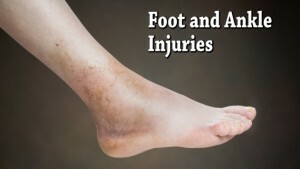 Read more about Sport Related Foot and Ankle Injuries.